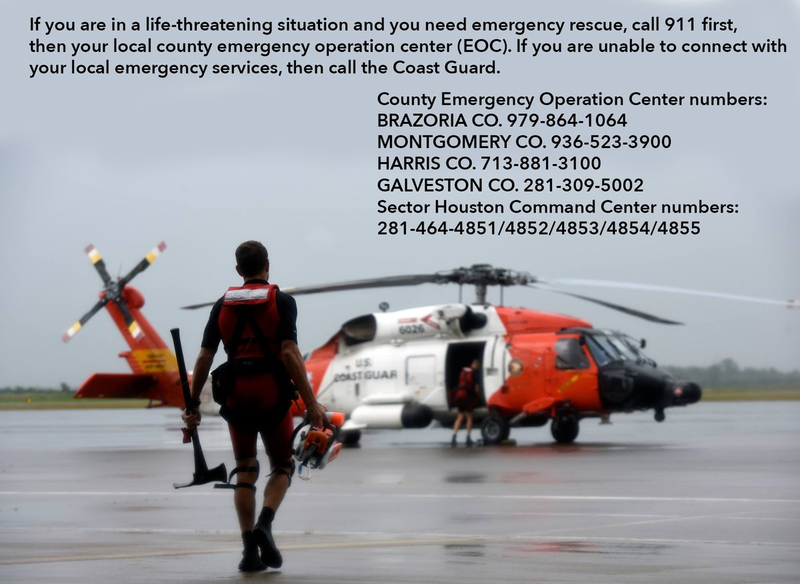 Please let your friends in the affected area know this Coast Guard information. Obviously, if they can call you, you can call for them. You will need their name, address, including zip code, and telephone number so responders can call them back. Humanity Road is monitoring social media for urgent needs. Around 8:00 PM CDT – 0100 UTC, Harvey began moving onshore of the middle Texas coast. By 10:00 PM CDT – 0300 UTC, the eye of Category 4 Harvey made landfall between Port Aransas and Port O'Connor, Texas with maximum sustained winds of 130 mph and a minimum central pressure of 938 mb (27.70 in) and moving to the northwest or 325 degrees at 7 mph. Prior to landfall and throughout the day, forward speed was 10 mph. Harvey is the first Major Hurricane to make US landfall since Wilma in October of 2005 and the first Category 4 Hurricane to make US landfall since Katrina on August 29, 2005. According to the National Hurricane Center, “Harvey is expected to produce total rain accumulations of 15 to 30 inches and isolated maximum amounts of 40 inches over the middle and upper Texas coast through next Wednesday. During the same time period Harvey is expected to produce total rain accumulations of 5 to 15 inches in far south Texas and the Texas Hill Country over through southwest and central Louisiana. Rainfall of this magnitude will cause catastrophic and life-threatening flooding”. According to the 10:00 PM CDT – 0300 UTC advisory and discussion, the eye of Harvey should continue tracking to the northwest or 325 degrees for the next several hours, which would bring it inland over southeastern Texas. After 12 hours or so, the hurricane should become embedded in an area of weak steering currents and become nearly stationary. It is unclear at this time whether the center of Harvey will emerge over the Gulf of Mexico, as the guidance is in poor agreement on that. It is clear, though, that Harvey will remain over southeastern Texas or the adjacent waters through the forecast period, thus producing a major rainfall andflooding threat. The Hurricane Watch Net remains at Alert Level 5 – Catastrophic Response Mode meaning a Major Hurricane is currently affecting land within the HWN area of interest. Net operations will continue on both 14.325.00 MHz and 7.268.00 MHz until further notice. Our Net remains available to provide backup communications to official agencies such as Emergency Operations Centers, the American Red Cross, Non-Governmental Agencies, and other vital interests in the affected area. We will be interested to collect and report significant damage assessment data back to FEMA officials stationed in the National Hurricane Center. Please keep everyone in the path of this dangerous storm in your thoughts and prayers! Harvey has just been upgraded to a Category 4 Hurricane with maximum sustained winds of 130 mph and a barometric pressure of 941 mb (27.79 in). The Hurricane Watch Net remains at Alert Level 5 – Catastrophic Response Mode. Net operations continue on both 14.325.00 MHz and 7.268.00 MHz. We will remain active on 14.325.00 MHz for as long as propagation holds. We will continue operations on 7.268.00 MHz until further notice. Harvey is still a powerful Category 2 Hurricane with maximum sustained winds of 110 mph. Conditions remain favorable for Harvey to become a Cat 3 Hurricane today. 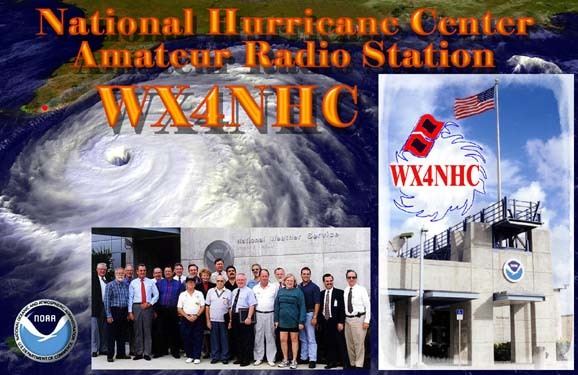 Due to poor propagation on 14.325.00 MHz, we will resume 40 meter operations on 7.268.00 MHz at 11:00 AM CDT – 1600 UTC. Operations on 14.325.00 MHz will continue as well. As with any net activation, we request observed ground-truth data from those in the affected area (Wind Speed, Wind Gust, Wind Direction, Barometric Pressure – if available, Rainfall, Damage, and Storm Surge). Measured weather data is always appreciated but we do accept estimated. We are also available to provide backup communications for official agencies such as Emergency Operations Centers, the Red Cross, and other vital interests in the affected area. We will also be interested to collect and report significant damage assessment data back to FEMA officials stationed in the National Hurricane Center. Lastly, the Hurricane Watch Net will remain active until further notice. Radio amateurs who live in housing developments controlled by homeowners' associations (HOAs) or on property subject to Covenants, Conditions and Restrictions (CC&Rs or deed restrictions) are facing increasing restrictions on putting up outdoor antennas or even operating at all. In addition, a growing number of new housing developments fall into the HOA/CC&R category. For the past several years, the ARRL has been working hard in Washington to persuade Congress to pass legislation directing the FCC to write rules that would provide amateurs with the same rights to operate and erect outdoor antennas that it provides to hams living elsewhere (so-called PRB-1 rights). The "Amateur Radio Parity Act" was first introduced in 2014 in an effort to achieve this goal. representing homeowners' associations. The ARRL worked with CAI to find compromise language that would satisfy major HOA concerns while still providing hams with the ability to set up reasonable outdoor antennas at HOA/CC&R-controlled homes. We applauded those efforts at the time. The revised bill passed the House of Representatives unanimously in 2016 but was not voted on by the Senate prior to the end of the last Congress. The amended language was re-introduced in the current Congress as H.R. 555 in the House of Representatives <http://bit.ly/2vOn8Jq>, where it again passed unanimously; and is now being considered in the Senate as bill S. 1534. The ARRL is making a major push to encourage its members and other hams to contact their senators and urge support of the bill. However, as some hams with legal and legislative backgrounds began reading the bill closely, they pointed up significant concerns that the bill's revised language may hurt hams as much as it might help them, including adding new requirements to seek permission to put up antennas and the possibility that new or existing "stealth" antennas might become violations of federal law. We published a summary of those concerns, as set forth by former FCC attorney Jim Talens, N3JT, in a "Food for Thought" article in the August 2017 issue of CQ, titled "Why H.R. 555 is Not Good (Enough) for Hams." Click here to view. Within a week of its publication, the ARRL responded (without specifically mentioning the Talens CQ article) with a "Frequently Asked Questions" document claiming to "debunk" the "myths" raised by Talens, titled "The Amateur Radio Parity Act: Setting the Record Straight." The League posted it online at <http://bit.ly/2upYEqA>, and ARRL President Rick Roderick, K5UR, e-mailed all League members, urging them to read the document and to contact their senators if they hadn't already done so. Jim Talens quickly issued a rebuttal to the League's "FAQ," pointing out what he sees as the flaws in the ARRL's reasoning. Click here to view his complete rebuttal. Talens was joined in rebutting the League's comments by communications attorney Fred Hopengarten, K1VR. Fred is the author of the ARRL book, Antenna Zoning for the Radio Amateur, and is considered by many to be today's leading authority on amateur radio antenna law. Fred says he is a strong supporter of the ARRL but opposes this bill. Click here to view his statement. f) Make up your own mind about whether you support this bill as written or whether it needs more work before final Congressional consideration. This white paper provided as a service to the amateur community by CQ magazine (www.cq-amateur-radio.com) to assure that all valid concerns are heard on this issue of major importance to the future of amateur radio. Marty Sullaway, KC1CWF, of Newton, Massachusetts, has been selected as the 2017 Bill Pasternak WA6ITF Memorial Amateur Radio Newsline Young Ham of the Year. Marty,15, is the son of Robert Sullaway and Gail Schulman. CQ is a corporate co-sponsor of the Young Ham of the Year award. Marty was first licensed as a Technician in November 2014. He quickly worked his way to General earning his ticket in February 2015. He became an Extra Class operator this past February. Marty is co-founder of the Eastern Massachusetts Contesting Club and trustee of its call sign KR1DX. Marty created the club to get more young people involved in amateur radio in the suburban Boston area. He has helped teach and mentor many young people, sparking interest in HF contesting. Marty is a member of the Yankee Clipper Contest Club and very active in the contest community. He currently serves on the American Radio Relay League Contest Advisory Committee. KC1CWF's efforts in contesting have netted many accolades, including the 2015 CQWW SSB USA "Rookie" plaque. 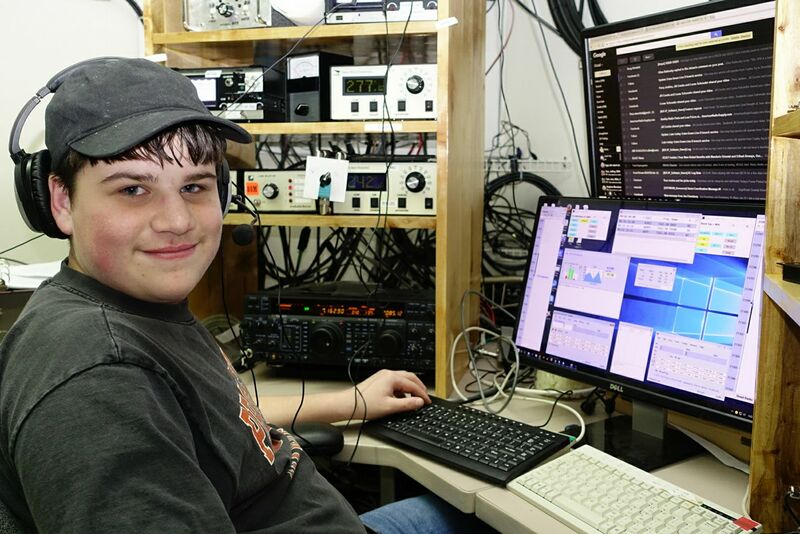 His score of 1,312,305 operating from K1VR still stands as the CQWW rookie record. Marty also is QSL manager for three stations in the Yukon and is a board member of the Clay Center Amateur Radio Club which promotes amateur radio at the Dexter/Southfield School in Brookline, Massachusetts. He runs his own podcast, presented at the 2016 Dayton Hamvention Youth Forum, and appears regularly on the W5KUB "Amateur Radio Roundtable" webcast. He even serves as a back-up studio when technical issues arise. Marty also is involved in amateur radio public service activities, including serving as a net control operator for the Boston Marathon. He is also the owner of his own consulting company, "Newtown Mass Tech," where he handles such tasks as home computer installation to VOIP connections for clients throughout the Boston area. Marty is entering his sophomore year at Meridian Academy in Jamaica Plain, Massachusetts, this fall where he has been active in the Model United Nations program for four years and has earned multiple awards, including best delegate. Marty is currently vice president of his United Synagogue Youth chapter and is involved in an Israeli folk dance group. His nominator, CQ Kit-Building Editor Joe Eisenberg, K0NEB, described Marty as an "extraordinary young man," noting that "Marty has accomplished things at age 15 that many hams take years to do. And he is only beginning." Marty will be recognized during the Huntsville Hamfest on August 19 in the Von Braun Center, Huntsville Alabama. The Young Ham of the Year Award was inaugurated by William Pasternak, WA6ITF, in 1986. Upon his passing in 2015, Bill's name was added to the award as a memorial to his commitment to recognizing the accomplishments of young people to the amateur radio service. In addition the Amateur Radio Newsline, CQ magazine and Yaesu USA are primary sponsors, along with Heil Sound Ltd. and Radiowavz Antenna Company.